Getac's new-generation S400 series notebook has the footprint of a business notebook, the features of a full-rugged device and incorporates Intel's latest Skylake micro-architecture to boost performance. 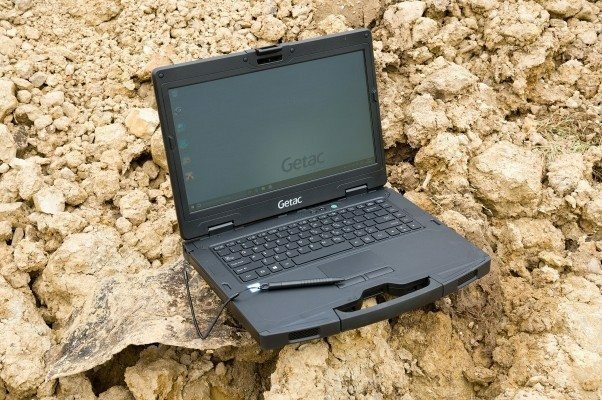 Rugged computer manufacturer Getac has unveiled the first model in its next-generation S400 series semi- rugged laptop, the Getac S410. At 2.2kg and 35mm wide, it has the footprint of a business notebook but incorporates many features of a full-rugged device. "The S410 builds on our success in the semi rugged notebook space, providing a combination of design, performance and versatility,” says Chris Bye, President of Getac in the UK. The S410 can be specified with Intel 6th generation Core i3, i5 or i7 processors incorporating the latest Skylake U-series micro-architecture which boosts both CPU and GPU performance and reduces power consumption compared with the Broadwell series it replaces. Windows 10 operating system is standard. The S410 incorporates Getac’s newest proprietary composite materials to enhance ruggedness. It has a splash-proof keyboard; rugged I/O door; flexible and durable handle and rubber bumper and footpad, with ventilation provided by the footpad from the bottom of the unit. Environmental credentials include an IP51 rating for dust, MIL-STD 810G certification and the ability to cope with 3ft drops. A 14in TFT LCD HD 1366 x 768 display is standard, with a 14in TFT LCD FHD 1920 x 1080 high resolution screen optional. Getac’s Lumibond sunlight readable technology can be specified on either screen. Capacitive touchscreen technology means the S140 can be used in touch, gloved and pen modes even when wet. Up to 1TB storage is available plus an optional SSD drive. The 11.1-volt 4200 mAh battery should last a full day, but the S410 also comes with Getac's optional a hot-swappable battery feature with a light indicator to flag to users if there’s enough power left for the main battery to be switched. There's also a range of in-vehicle docking accessories. Wireless communications include Intel’s dual band AC 8260, Bluetooth 4.2 and optional GPS, GOBI mobile broadband and RF Triple Pass-Through. The S410 also offers multi-factor authentication including fingerprint touch technology. I/O options including a docking connector slot, USB 3.0 connectivity and expansion bay for, for example, PCMCIA. In-vehicle and office docking units; a battery charger, and vehicle and AC Adapters are among the accessories available. The S410 comes with Getac's standard three-year warranty. Click here to download a digital version of Field Service News issue 11 now! Download the digital issue of Field Service News issue 11 now! Of course this isn’t always true, if it were there would be no innovation in the world and as anyone who reads this column regularly can attest innovation is one thing that gets me excited. And in fairness in our industry it is all around us, my only fear is that perhaps such examples of smart out of the box thinking are sometimes the exception rather than the rule. A point in case is to be found within our latest research project where our findings point to so many companies taking the easy options when it comes to device selection for their field service engineers. In their defence they will likely point to the fact that it was the cheaper option, but all to the often what appears to be the cheapest option up front can ultimately be a more costly choice further down the line. Indeed the Total Cost of Ownership argument that many rugged manufacturers or distributors will put forward is based around facts and figures that support this exact notion. However, for me the issue is not thinking the choice through in terms of how these devices will genuinely fit into an engineer’s workflow. For example of the 59% of companies that opted for consumer devices to empower there engineers in the field, 71% stated that ideally the devices for field service should have barcode scanning capability. Now whilst I know the camera on a consumer tablet or smart phone is capable of handling barcodes, but it’s a cumbersome process whereas so many industrial devices are designed to incorporate this functionality with a dedicated button to make our engineers lives easier. Basically one product is fit for purpose and the other is not. Yet the overwhelming majority of companies opt for the device that isn’t fit for purpose because of an initial lower cost per unit. 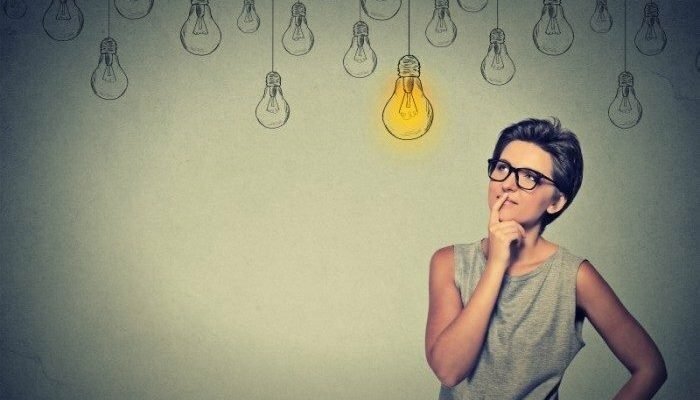 It is a short-sighted approach that leads to potential efficiency improvements being missed, which in turn could see potential additional profits melt away. OK I may be being a bit melodramatic but I’m sure you get the point. Considering what is fit for purpose and taking the time to make considered decisions - whether it be around hardware, software or even processes is, in my humble opinion at least, the key to long term success. In fact this issue is full of examples who questioned if what was the accepted norm was in fact actually fit for purpose or not. Take Dr. Bart Guthrie, neurosurgeon and founder of Help Lightning to begin with. 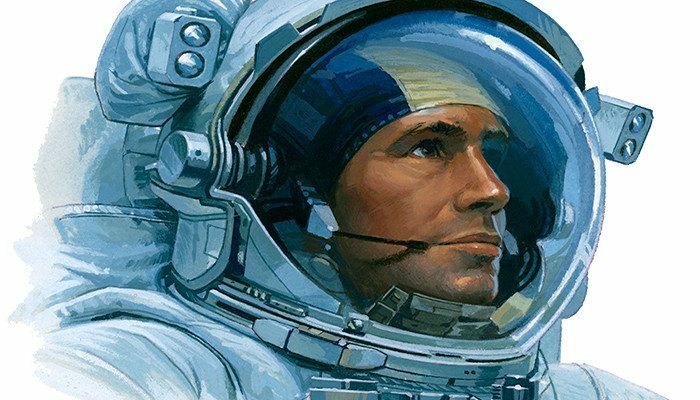 Ultimately it was his acceptance that the standard means of communicating remotely in the medical sector, i.e. the telephone, wasn’t really fit for purpose anymore that led to the creation of mobile merged reality and Help Lightning which is shaping up to be a significant game changer in both the clinical and field service sectors alike. 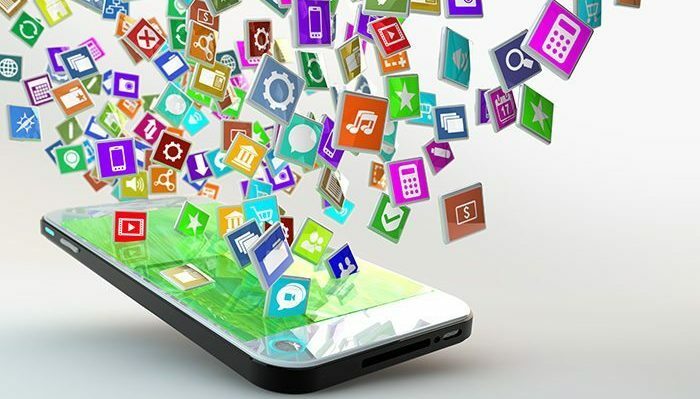 A mobile app development platform who have identified the fact that the functionality of many traditional FSM solutions is constrictive and in the context of a digital mobile worlds not fit for purpose. Or how about IFS’s Tom Bowe. In our interview he makes a great point about beginning to define new processes today in preparation for the oncoming sea change that will be mass adoption of the Internet of Things. 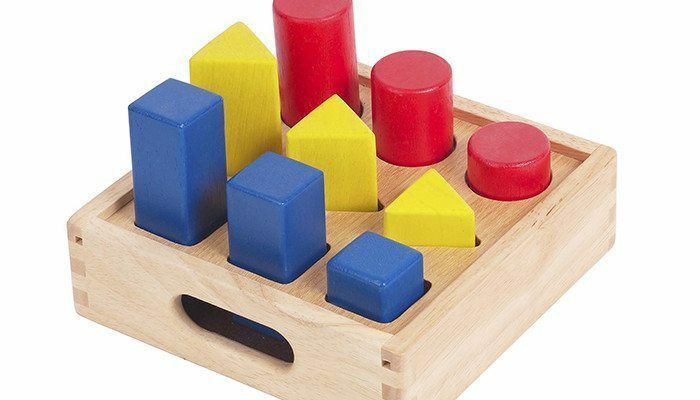 Very simply Bowe argues that the SLAs currently in place and the processes to support those SLAs will soon no longer be fit for purpose as ultimately technology will make them obsolete. It is only by challenging ourselves and our decision that we can continuously improve. 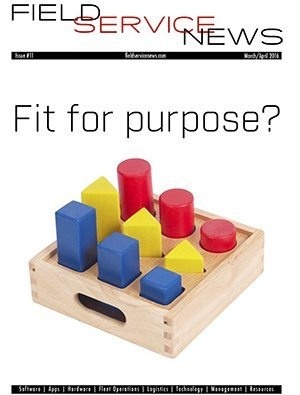 And the question ‘is it fit for purpose’ is therefore a handy one to keep tucked in our head to help us achieve that. Wider access to custom-fit mobility tools is driving new efficiencies for field service workers, says Alison Clark, Product Manager for RhoMobile Suite, the app development platform from Zebra Technologies. The proliferation of more affordable and richly-featured mobile technologies is finally at the point of transforming field service practices for companies of all sizes. The degree of tool customisation essential for maximising the efficiency with which field service tasks are carried out has finally democratised, moving away from being something isolated to big businesses with the budget to match. Enterprise-calibre field mobility applications customised to meet the highly specific needs of an individual business can now utilise specialised tools that include barcode scanners, GPS, sensor data capture, and more. This wider access to custom fit mobility tools is producing exciting new trends in field operations, which any business looking to improve their own practices in the field would do well to study for possible adoption. Here are three of the most significant ways that custom mobility app technologies are driving new efficiencies for workers in the field. Optimisation of field workers’ driving routes is slashing transit times. App-based GPS, traffic mapping, and routing technology in every service vehicle and carried in the pocket of every worker in the field is giving company dispatchers a more sophisticated, holistic overview of the field resources at their disposal. Field workers now have their routes for the day continuously optimised by intelligent software. The days of the repair truck coming within a “window” of 9am to 9pm are ending. Rather, precise computer-assisted planning allows field workers to tell customers how many minutes they are away. More streamlined and customised interfaces are benefitting today’s field workers by removing pain points and making data capture fast and error-proof. More specifically, we’ve seen a move toward apps where dispatchers can simply assign work orders to field technicians using a drag-and-drop calendar interface – where appointments and geographic routes are then easily recalculated and optimised for the fastest possible travel. Field workers are now experiencing the ease of simply following GPS directions from site to site. Dispatchers work from a dashboard that includes not just field workers’ locations but analytical insights as their work progresses. This allows dispatchers to modify assignments on the fly to further optimise work efficiency. The result of this efficiency is more site visits and jobs completed in a day, happier and better-served customers, and sizable savings in fuel costs. Digitised and streamlined interfaces are revolutionising data capture. The pens and clipboards still used by some field workers are now (or soon to be) antiquated relics. And while technology solutions that are not custom fit to a company’s needs may assist somewhat by digitising information, workers using one-size-fits-all systems will still need to capture data in different apps and send multiple files to dispatchers. Thankfully, more streamlined and customised interfaces are benefitting today’s field workers by removing pain points and making data capture fast and error-proof. To complete a work order, field service workers may need to capture arrival and departure times, labor hours, work notes, part and material numbers, digital images, customer consultation time, customer signatures, etc. In the worst-case scenario of using less efficient and downright unwieldy solutions, field workers might even have to return to sites to recapture improperly recorded data. We’re seeing a decisive trend toward app solutions with thoughtfully designed user interfaces and smart use of data capture equipment. These apps also tend to include business rules and task segmentation customised for precise company needs. They can use Bluetooth scanners for errorless capture of complex parts numbers and integrate data within work orders themselves at the time of capture for seamless processing. Dispatchers can then receive and make use of those filled out work orders in real time, as their software is custom made for this purpose. Field mobility apps work just as seamlessly offline. Even when work order data cannot be transmitted to dispatchers in real time, the trend in these apps is to make sure that locally capturing and later syncing recorded data is automatic and painless. Many field workers frequently travel to locations where their mobility devices will read “No Service.” Apps capable of offline data syncing enable workers to capture information without Internet connectivity and have that data sync up with the software used by dispatchers at the home office once they return to an area with a better wireless signal. This means that data is safe and available for use as soon as possible. Businesses using field mobility technologies have found that the more customised the application they use is to their needs, the more efficiently it will serve them. 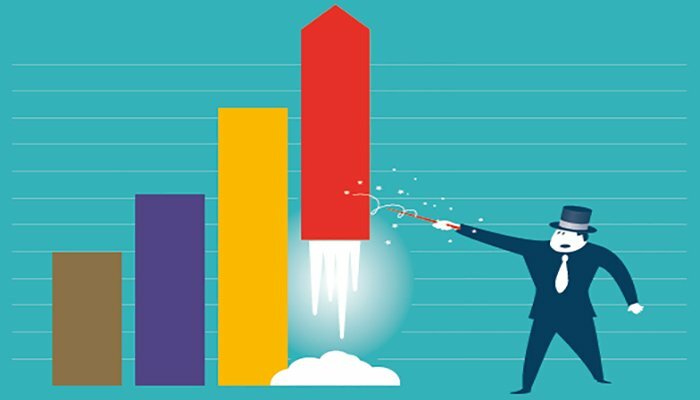 As highly tailored app customisation is now within the reach of businesses of all sizes, companies deploying employees in the field should look for those trends that support their productivity and help the business’ bottom line. Field service companies tempted by low-priced consumer mobile devices should focus on Total Cost of Ownership, says Peter Molyneux, UK President, Getac, the rugged laptop, tablets and handheld manufacturer. The more numbers after the £ sign, the greater the likelihood of the specifier or procurement team to switch off to the technology - but it's a switch-off that could result in a significant unplanned-for cost rather than the planned expected saving. The challenge facing all technology providers - as public sector strips costs to the bone, and business, still nervous about the economy, caps technology budgets - is breaking customers' focus on the short-term bottom line. It's an awkward fact that many buyers of technology - tablets or laptops - don't have the detailed knowledge of the field performance differences between a built-for-purpose rugged unit, and a consumer-based unit with a protective case. But some technologies can look the part but fail to deliver. We have seen consumer-market brand technology failures of up to 30% a year when used in punishing, critical working environments similar to those experienced by both public and private sector organisations and businesses - and there's inevitably an unexpected and unplanned-for cost associated with failure. There are some good consumer products working well in lighter-duty business and emergency service applications, but consumer technology is simply not designed for the daily demands of specifically critical working environments experienced by field service sectors. 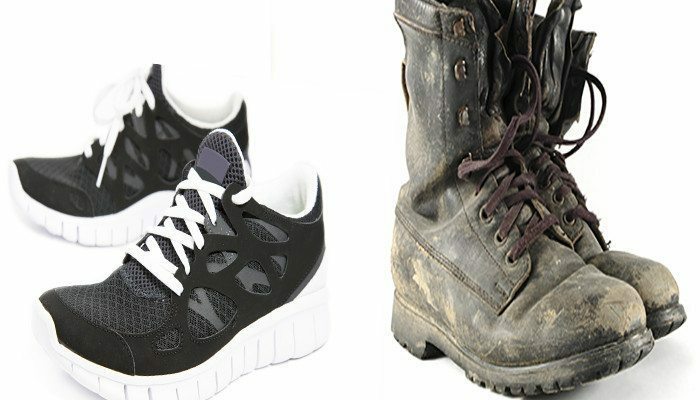 The issue is that while rugged technology is a longer-term investment, business and public sector alike are understandably taking a short-term view on spending based on their currently extremely tight budgets. However, there's a core of businesses and public sector bodies who have had their epiphany and realised that total cost of ownership of rugged computers is lower than consumer-based over the field life. However, there is also a surprising number of businesses and organisations who still buy outright rather than lease – with leasing offering reduced total cost and monthly cost against capex. Estimation of total cost of ownership of consumer technology in critical working environments should be based on the expected working life of the device chosen - typically three years. This needs to include both the direct costs of purchase and the indirect costs of service and support. Longevity of supply and support of the device in the field must also be taken into consideration: consumer technology refreshes every six to eight months and therefore may not be supported across the duration of the project. 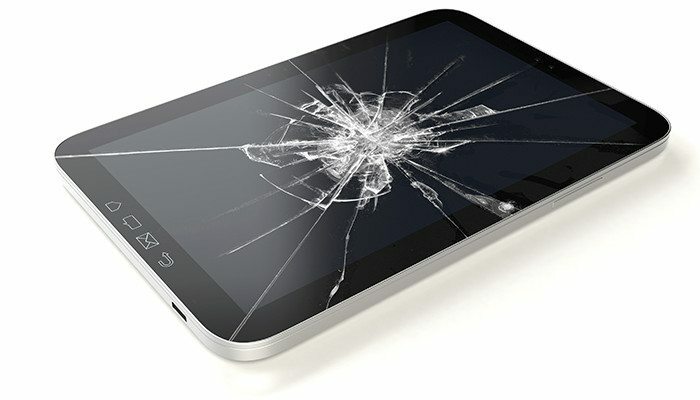 A consumer-market tablet cost of £550 including a 'rugged' case would typically return an annual field failure level of 25%, and possibly more, when used in demanding working environments. A purpose-built rugged tablet will cost £1,500 with a three-year warranty and support package, and have an expected field failure rate sub-3% over that three years. That's three times or so the initial cost, but a significant improvement on operational life expectancy, and minimum down-time in the field. Rugged equipment isn't just more resilient but has features not available in consumer-facing products – high performance RF antennas and accurate GPS, and a higher level of integration, for example a 1/2D bar code reader. In practice, that means downloading data faster or maintaining network connection in areas where consumer-based technology will not. It can mean finding the location of equipment needing attention faster and more accurately. Operational efficiency and true mobility is delivered by a built-for-purpose feature set of which ruggedisation is just one component. We speak from experience: we regularly support customer field trials and business case completion to ensure understanding of the total cost of ownership and return on investment in rugged technology versus consumer products. There are two issues when it comes to using technology in the field: does it have the features and technical capability to allow a field service professional to do their job, but, crucially, does it have the resilience to keep working in sometimes extremely hostile environments? The fact is that even good consumer-market tablets and laptops, even if they are in toughened cases, will fail to perform in a demanding working environment. Purpose-built rugged technology, such as produced by Getac, has features designed specifically for harsh environments. Not only does it survive drops, impacts and exposure to liquids, but it has performance - and the service and support infrastructure - which is simply not readily available on consumer technology. 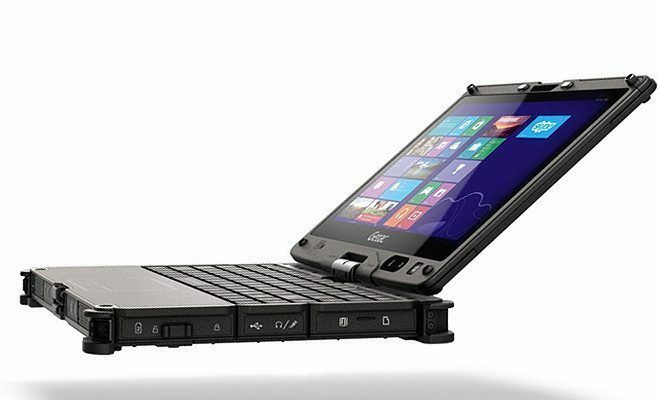 Getac, the rugged device manufacturer, has released the V110 computer which can be used as a conventional notebook or as a tablet. The V110-G2 incorporates Intel’s fifth-generation Broadwell technology to improve productivity and optimise power consumption. This new processing power, allied with rugged build, will enable the units to deliver exceptional computing performance in the harshest of working environments, says the company. Peter Molyneux, President, Getac UK, says the V110-G2 re-affirms Getac’s commitment to delivering the latest technology to those who need power and performance in critical conditions. “Customers depend on Getac devices to provide them with the greatest level of performance in all conditions - the V110-G2 offers increased performance for our customers’ business." The V110-G2 can be specified with either an Intel Core i5-5200U (2.2GHz) or i7-5500U (2.4GHz) vPro processor, both with Turbo Boost. It comes with 4GB RAM expandable to 8GB, and Windows 7 or 8.1 Pro or 10 operating system. The full-size, waterproof membrane keyboard has 88 standard-sized, island-style independent keys and a LED backlight that allows user to type in the dimmest conditions. The V110’s dual batteries are 66% smaller and 57% lighter than earlier models and hot-swappable dual-battery design enables you to remove one of the two rechargeable batteries and replace it with a fresh battery without ever shutting down apps or your Windows OS. Communications include the latest superfast 802.11ac WiFi, dedicated GPS and 3D antennae. At 1.98kg and 34mm thin, the V110-G2 is 27% lighter and 30% thinner than the previous generation, but there has been no sacrificed on ruggedness - it is certified to MIL-STD 810G IP65 and ANSI and it can handle temperatures from minus 20 deg C to plus 60 deg C.
The Bobcat tablet is the latest in Xplore's family of fully-rugged tablets. Featuring an array of integrated options, and a sleek, sophisticated design, the Bobcat will change the way you look at tablets. With a MIL-STD-810G rating and Windows® 8.1 Pro, the Bobcat can go from the boardroom to the work site without missing a beat. With the recent acquisition of Motion Computing by Xplore Technologies the obvious initial comparison to make for the Bobcat is with it’s new sibling range and when compared to the Motion F5M the Bobcat certainly has a much more aesthetically pleasing style. Whilst the F5M with it’s integrated handle looks like a product that was only ever designed with industry in mind, the Bobcat whilst still having a clear ruggedity about, it could pass far more easily for a consumer device. Of course one could ask why does this matter? And when we talk about pure functionality, and viewing tablets simply as a tool for doing the job, the answer is of course it doesn’t. However, when we spend just a moment to consider the human, emotional side of getting our engineers buy in the fact remains that a ‘sexier’ more consumer-looking device is more likely to get the approval of a field engineer, which of course could lead to swifter adoption times. 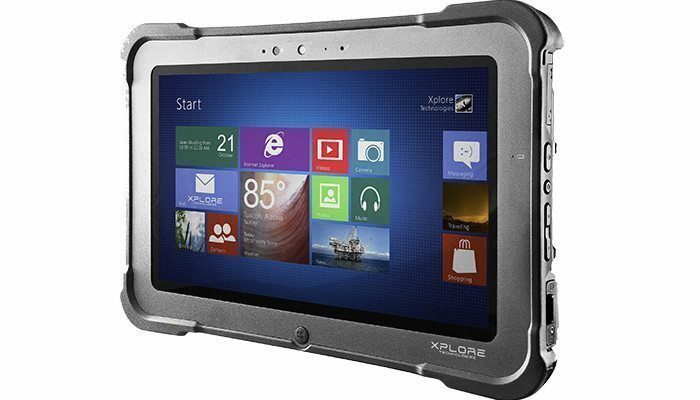 And whilst the Bobcat isn’t perhaps as sleek as the Getac T800 or Panaosonic’s Toughpad 4K it is certainly not the ugliest tablet in the Rugged World. In the hand, it feels sturdy enough without ever feeling cumbersome. In fact weighing in at just over 1 kilogram the Bobcat is a similar weight to the Panasonic FZ-G1 and weighs in a lot third lighter than Getac’s F110 model. When it comes to buttons and peripherals the Bobcat’s layout makes sense and was easily navigated with placing being intuitive. Also the optional handle that can be attached whilst not offering the solidity of the integrated handle of the F5M does offer the option of easily carrying the device around in such a manner although personally I found the handle slightly uncomfortable when carrying and bit awkward and in the way when using the device. It is however a detachable accessory so this isn’t a significant problem. When it comes to what’s underneath the hood, the Bobcat falls a bit short of many of it’s peers. With Panasonic’s FZ-G1, Getac’s T800 and F110 models the Motion F5m all boasting faster processing power than the Bobcat’s relatively modest 1.91Ghz processer as standard with most offering the option of even better processing speeds if required. That said the Bobcat should be able a large majority of tasks that it would be expected to deal with in the field however, it perhaps isn’t the choice for mobile workers who will be using a lot of CPU hungry applications. As for the graphics card, the Bobcat’s Intel Integrated Mobile Gen7 Graphics card is also a little lacking compared to some of it’s competitors but again it should still be sufficient enough for common usage that we would see in field service. As with most tablets in this space The Bobcat is a windows based tablet coming currently in the two flavours of Windows 7 or Windows 8.1 (with upgrade options to Windows 10). Whilst this is great for the majority of companies that are using Windows for their office based systems as well as it helps for easier transfer of data from field to office and back. Perhaps an option for an Android OS may appeal to some and would be a welcome inclusion however as mentioned most tablets within this class are Windows based so it would be unfair to single out Xplore for criticism here. Where the Bobcat does impress is in the number of included ports – something that is often a challenge for rugged tablets. The Bobcat comes with 2 separate USB3.0 ports a feat unmatched by all of the above mentioned competitor devices except for an optional upgraded configuration of the Panasonic FZ-G1. Where the Bobcat does impress is in the number of included ports – something that is often a challenge for rugged tablets. The Bobcat also has a MicroSD slot which not only gives the option of expanding the 128HB internal memory (upgradable to 256GB) but is also a potentially useful means of transferring files from developed in the field onto a desktop at any point. Should your engineers need to give presentations of the work being undertaken at any point then the micro HDMI out will allow them to easily share directly from the Bobcat. Other ports on the Bobcat include a RS232 serial Ready Port, headphones/speakers mini-jack stereo port plus DC power input. Of course for field engineers to get the most out of any mobile computing device connectivity is absolutely key. The Bobcat has a number of integrated communications solutions embedded within it including an 802.11ac wireless LAN (wi-fi) receiver, which not only allows the device to connect to both 2.5GHz and 5GHz but also delivers enhanced speeds. The tablet also comes with an optional 4G LTE mobile broadband receiver meaning so even out of Wi-fi range as long as there is mobile coverage the device is capable of connecting at the fastest speeds available in any given area. There is also integrated GPS with an accuracy of 2.5 metres and Bluetooth 4.0 so the device can be paired with other tools being used by your field engineer such as in cab communications or smart watches etc. In addition to this there is a both a front facing and rear camera alongside integrated speakers and microphone which allows for video conversations between engineers for knowledge sharing etc. Finally the Bobcat also has options for including Near Field Communications (NFC) reading capability and Barcode scanning both of which can be useful tools when updating parts inventory. 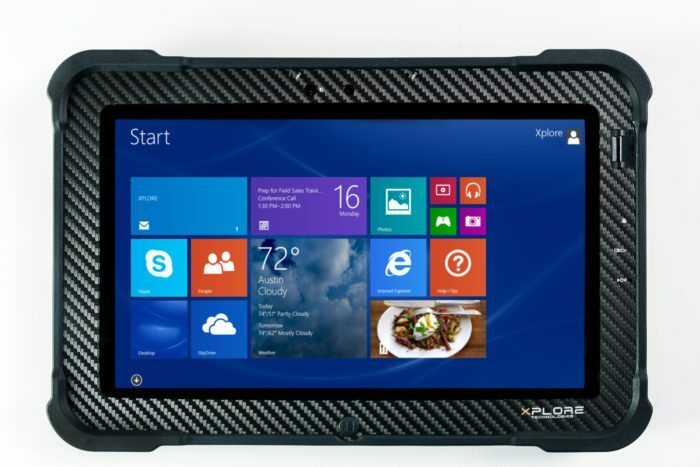 As one would expect the Bobcat meets the standards of a fully rugged tablet. With a MIL-STD 810G certification the tablet is both water and dust resistant and can operate in a range of temperatures ranging from -20°C through to 60°C which should cover all but the absolute extreme of field service environments. With a MIL-STD 810G certification the tablet is both water and dust resistant and can operate in a range of temperatures ranging from -20°C through to 60°C which should cover all but the absolute extreme of field service environments. The Bobcat is also capable of surviving a 5 foot drop and thanks to it’s lightweight rugged magnesium midframe the LCD and electronics are particularly well protected should the device be accidentally dropped. In addition to this a the clever design which incorporates raised corners the screen remains protected whilst for further reassurance there is also the option of upgrade of an Armortech Screen Guard. Finally the battery life of the Bobcat is certainly capable of lasting an engineer throughout their day. The full shift battery life is listed as up to 8 hours however, the Bobcat has a hot swappable battery and with additional external battery options the tablet is comfortably capable of making it through a 20 hour day . The Bobcat offers a good combination of being a good-looking tablet that is up to the daily grind of most field service applications. It is well designed with intuitively placed buttons and a good amount of I/O ports and support for peripheries. The obvious weakness of the Bobcat is in it’s processing power lagging behind it’s closest competitors, however it’s competitive pricing makes it a very good option for those companies whose engineers needs’ are not particularly CPU intensive. 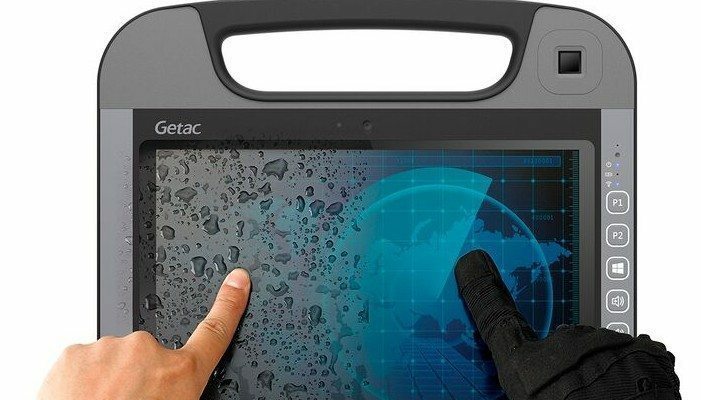 Rugged technology designer and manufacturer Getac has launched a rugged tablet targeted at the field service sector and developed using the principle of "marginal gains" - an approach adopted by Britain's all-conquering Olympic cycling team, explains UK President Peter Molyenux. The RX10 specifications include an integral "grab-and-go" carry-handle, a 10.1in 800 nits Lumibond HD screen incorporating sunlight readable technology, HD webcam, 8M pixel rear facing auto focus camera, smartcard reader , 3D antenna and integral GPS. Computing power is provided by an Intel M vPro processor with up to 1.2Ghz, or 2.9Ghx with Intel Turbo Boos with 4MB Intel Smart Cache and up to 256MB SSD. Windows 10 is pre-installed. The 2D barcode scanner is located for ease of us while the clearer screen, slightly better camera resolution, higher rugged rating, better ease of cleaning and hot-swappable battery all add up to improve productivity, says Molyneux. "If every feature contributes to an accrued tiny percentage improvement or gain in performance of a worker from a time-efficiency perspective, then it means, for instance, a single engineer or technician or using a tablet on a typical - but probably unscheduled - ten-hour shift will gain five or six minutes. A great deal can be accomplished by somebody in the field in six minutes: an equipment check, surveying a snag, uploading a report, a key component change. "For instance, the 3D antenna means communication and data downloading is slightly faster; it also means that communication can be sustained in areas where coverage is patchy. The processor does not need a cooling fan., meaning less draw on power, but, importantly, avoiding the consequences of the tablet overheating and shutting down for ten minutes. The grab-and-go handle means potentially fewer drops. 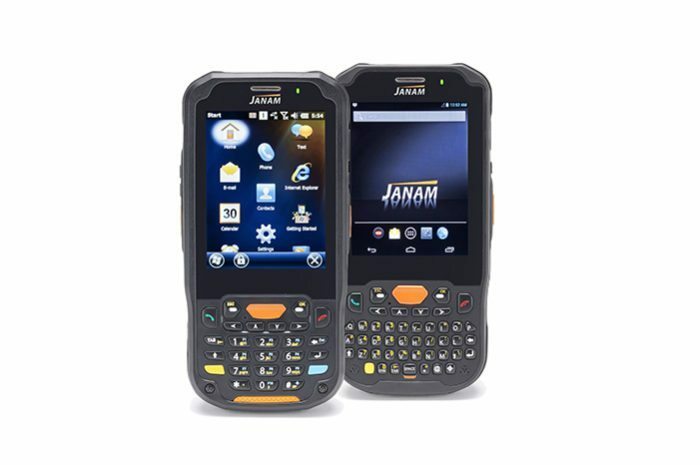 Rugged credentials include certification to MIL-STD-810G and IP65 and the RX10 comes with a three-year warranty. "While rugged tech is often labelled expensive, in reality the gap is closing between something like RX10 and a consumer-market adapted tablet with rugged case." "The extra few metres of communications provided by the 3D aerial can mean better coverage or faster data flow. Aligned with discrete built-in GPS that can mean a field-service operative is better able to locate equipment or infrastructure on a site visit. If it is an emergency repair, then that could impact, for instance, how quickly a building, industrial plant or even a town is reconnected to essential services.